nice price deal !!! xglare (all caps), is jessee egan, a brooklyn-based producer, sound designer and multimedia artist. she has released music under multiple aliases since 2011, most notably on ay japan. her latest incarnation, xglare, balances warped sound design, unearthly atmospheres and experimental rhythms that reject genre boundaries. 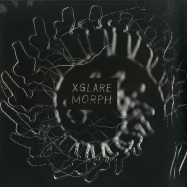 representing brooklyn in full force on the debut record, “morph ep,” xglare yields incredibly heavy atmospheres. this is a mature record showing patience, design and a thoughtfulness sorely lacking in much of the electronic music scene. beats and dance elements take center stage alongside impossibly powerful, almost elemental transitions. track 1, lymph sets the tone with an updated halcyon rave sound. imagine standing in a field in the countryside at an illegal rave at 6 in the morning as the sun is rising, wind blowing in the air. track 2 fossa feat ariadne, an opera trained singer, immediately submits you to whisper shouting, a highlight of the album. 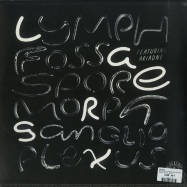 in between more dance floor-oriented tracks, spore and plexus, sit two sound design gems, title track morph with its pounding rhythmic charges and vast reverberated rooms, and ganglia, which reminds of early do you know-era squarepusher. a well-rounded ep showing off the many talents of xglare also comes housed in beautiful artwork designed by egan herself.